If you want to create a Bumble account, you no longer need a Facebook account. The move comes in response to users criticising Facebook for its handling of user data and protecting privacy. Did you delete your Facebook? That’s no problem for potential Bumble users. The move comes in the wake of the Cambridge Analytica data privacy scandal, which has prompted increased scrutiny of not only how much data third-party apps, like Bumble, can collect from Facebook, but also how much Facebook itself knows about its users. 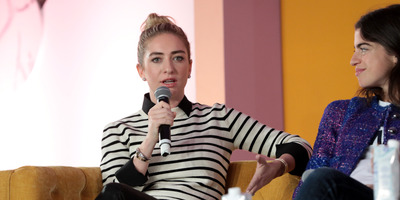 “Many of our users and prospective users have asked for a way to register for Bumble without linking their Facebook account, and we are excited to roll out this feature to our users starting today,” said Jessica Collins, product marketing manager at Bumble, in a statement to Business Insider. Tinder and OkCupid already allow new users to register with a phone number, but still, the majority of users register with a Facebook account, which helps verify that users are who they say they are. Since Bumble has nixed the Facebook login requirement, the app will encourage users who sign up with a phone number to verify their accounts for safety. An account is “verified” after a person at Bumble reviews a selfie of the person who owns the account to see if it matches other photos used in their profile. This isn’t the first time Bumble has changed a feature in the app in response to national debate. After the shooting at Marjorie Stoneman Douglas High School, the app in March banned photos that include guns or other dangerous weapons like knives.